Drawn and engraved by Jacques Rigaud and Bernard Baron. [Stowe Gardens] View of the House from the Equestrian Statue. [&] View of the House from the Parterre. The famous house, now home to Stowe School and owned by the National Trust. 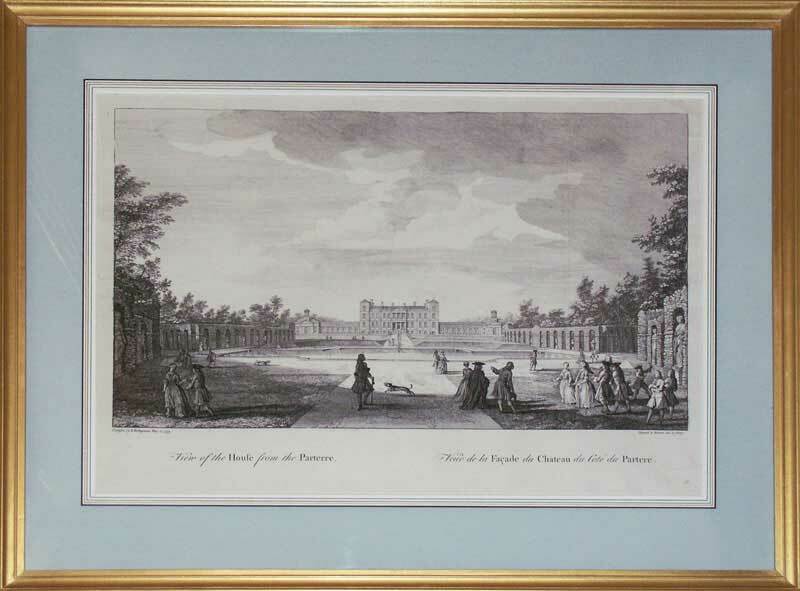 Jacques Rigaud is famed for his series of views of French Royal Chateaux; Bernard Baron worked on the plates of Hogarth's 'Marriage-à-la-Mode'. 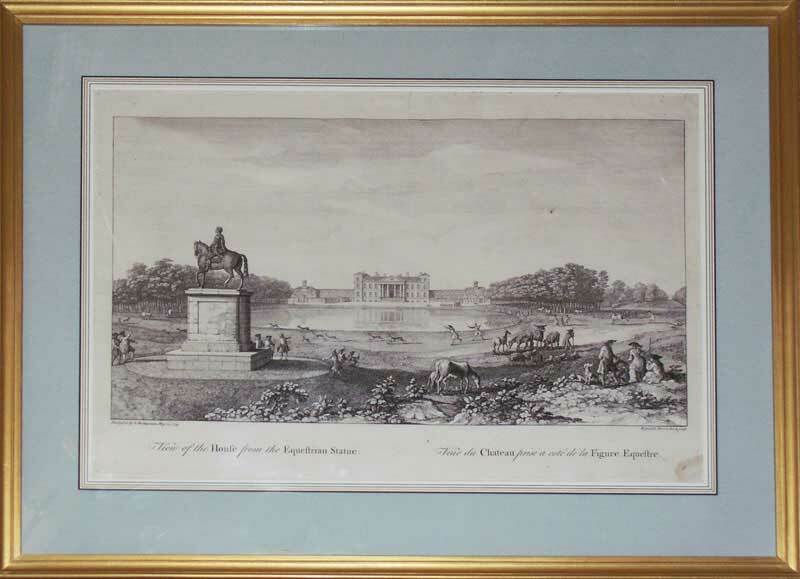 The pair were commissioned to create these views of Stowe by Sarah Bridgeman's husband Charles, who was the main landscape architect of Stowe, and Royal Gardener to Queen Anne. He died the year before publication.